Arrival at Cochin Airport At 11:05 AM , Reception by Nissi representative and proceed to Munnar. Check-in at FOREST HEAVEN HOTEL(MUNNAR). Check–in at FOREST HEAVEN HOTEL(MUNNAR) ,after freshup go to the local sightseeing to Munnar, the breath takingly beautiful hill station in Kerala is located at an altitude above 5000 ft. It is really a heaven in earth gifted by god…a place you wish to stay forever. Munnar abounds in natural bounty and looks picture perfect. The small hill station amidst western Ghats, surrounded by lakes and Local sight-Seeing at Munnar Mattupetty Dam: The Mattupetty lake and dam is a very beautiful picnic spot. The sprawling Kundala tea plantations and the Kundala lake are other attractions in the vicinity. Echo Point is a popular adventure tourism destination. Trekking and nature walks are popular activities in this scenic destination with beautiful views of the green hills. The fresh mountain air, the mist-clad hills and panoramic view makes it worthy of a visit. Photo Point, Shooting Point, Kundala Lake. Have a wonderful experience in the Tea Museum: This hill station is well known for its tea plantations. Overnight stay at FOREST HEAVEN HOTEL(MUNNAR). After breakfast, Check-out from FOREST HEAVEN HOTEL and proceed to Thekkady. Check-in at MONSOON RETREATS(THEKKADY), after freshup go to Local Sight Seeing ( The Lord of Jungles), get ready for the wild life exploration. Get into a cruise, which takes you up close to the wild side of nature. You can get a chance to sight on tigers, elephants, leopards, gaur, and deer etc, which reside in the Tiger reserve. Periyar Tiger Reserve, located in the southern segment of the Western Ghats at an altitude of 2900- 6000 ft, is the largest sanctuary in Kerala which is one of the 18 hotspots in the world recognized for their biodiversity. It is situated on the banks of Periyar river and you can have the unique experience of viewing wild life at close from the Safety of a boat on the lake. Overnight stay at MONSOON RETREATS(THEKKADY). After breakfast, Check-out from MONSOON RETREATS and proceed to ALLEPPEY. Check-in at EMIRATES Cruise House Boat(ALLEPPEY). 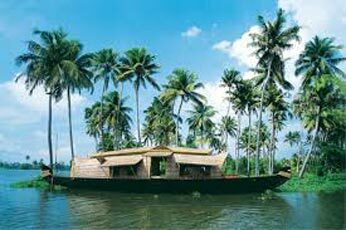 Alleppey with a large network of inland canals earning it the sobriquet "Venice of the East". These large networks of canals with spectacular Backwaters, Beaches, Marine products & Coir industry provide Alleppey its lifeline. Evening enjoy the sunset at Alleppey Beach. Overnight stay at Alleppey house boat . Overnight stay At EMIRATES Cruise House Boat (ALLEPPEY). After breakfast, Check-out from EMIRATES Cruise House Boat and proceed to COCHIN. Check-in at ATLAS AIRPORT HOTEL(COCHIN). after freshup go to the local sightseeing to COCHIN,Kochi (also known as Cochin) is a city in southwest India's coastal Kerala state. It has been a port since 1341, when a flood carved out its harbor and opened it to Arab, Chinese and European merchants. Sites reflecting those influences include Fort Kochi, a settlement with tiled colonial bungalows and diverse houses of worship. Cantilevered Chinese fishing nets, typical of Kochi, have been in use for centuries. Overnight stay at ATLAS AIRPORT HOTEL. After breakfast proceed to ATHIRAPALLI WATERFALLS, Athirappilly Falls is situated on the border of Athirappilly panchayath, Chalakudy Taluk of Thrissur district and Ayyampuzha panchayath, Aluva Taluk of Ernakulam district, Kerala on the southwest coast of India. After returning, drop at cochin airport AT 5:00 PM by NISSI REPRESENTATIVE.